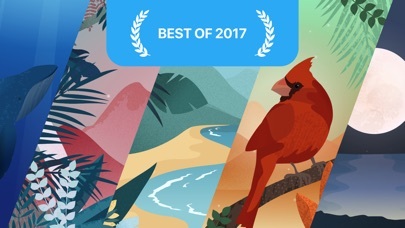 *** Best of 2017 *** Sonus Island is the perfect app to help you relax, focus and sleep better. 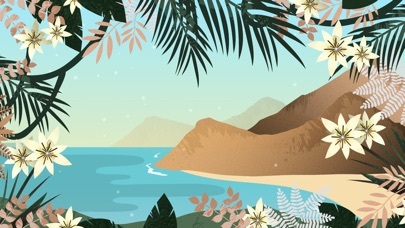 Listen to the soothing sounds of waves rolling on the shore, relax to the meditative sounds of whales underwater or fall asleep under the stars on a sandy beach. Sonus is a beautiful island bursting with color. No matter which area of the island you visit, the richly illustrated landscape will amaze you. With Sonus Island you can listen to high quality 3D sound anywhere your like and feel great. All beach and nature sounds are recorded from real life for a truly realistic experience. Imagine you can go to a tropical island anytime you like, anywhere you are. That’s Sonus Island! Discover illustrated landscapes and unwind after a busy day while listening to a guided meditation or experience the island by yourself. Take a trip to Sonus Island and let yourself be surprised by the colourful illustrated landscapes and amazing sounds. 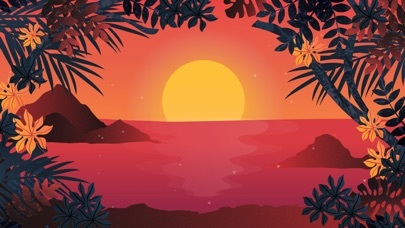 FEATURES + 10 richly illustrated landscapes bursting with color + Different place on the island to visit, for every occasion and mood + Super high quality 3D sounds for a real life experience + From birdsong to crashing waves, Sonus island contains very diverse nature sounds + English spoken guided meditations + 3 different guided meditations to help you focus, relax or fall asleep + Easy to use timer for timed sessions and a sleep timer + Breathing exercise + In-app purchase gives you access to the whole island + HealthKit integration + Universal app for iPhone and iPad ABOUT WILD VENTURES We are a husband and wife design duo. Based in the Netherlands we love making apps inspired by nature. Thank you for your amazing support, we love to hear from you! Please feel free to contact us if you have any questions, suggestions or issues. Народ не качайте это, не тратьте время! Программа платная! Причём один звук стоит 299руб! Stunning in every way - not only this looks incredible but it sounds amazing too! Good effort has to be rewarded. The price is ok for what you get. Click to visit other world. Every day we get a lot of stress because of modern lifestyle and sometimes it becomes unbearable. 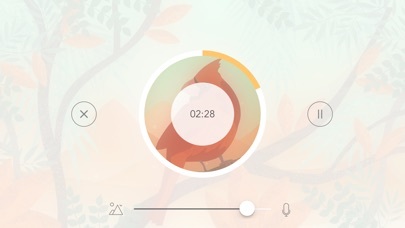 Most people can't visit nature places often, so they really need some things like this app. 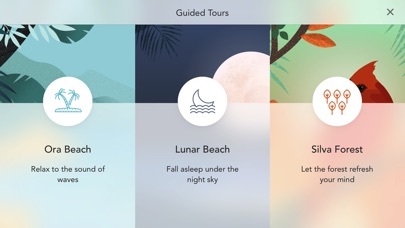 Dear developers, thank you for your great work, Sonus Island is wonderful app which helps calm down and makes me feel happier. But sometimes app crashes (iPhone 4S, iOS 9.3.5) and I hope this problem will be resolved.